For a few months, I have been including press release distribution alongside the more usual services of copywriting, product naming and concept development. Combining the copywriting of press releases with the distribution makes sense, as there are editorial guidelines that need to be respected at the writing stage of releases. If there is an issue, we can quickily make the modifications needed to ensure the release is posted within the time frame needed. The results so far have been pretty good, with a recent press release picking up 270 references in Google within a day of being posted. Obviously, I’m quite excited about this. And as I have an ongoing deal for the distribution, I can offer customers a special deal. I frequently have a number of slots available that I sell for the price of EUR90 – a significant saving on the normal rate. NOTE: This is for the distribution only. If you need a release written, just drop me a note and we can get this going quite quickly. The releases are distributed in English to over 250 US-based news sites and are good for SEO purposes. 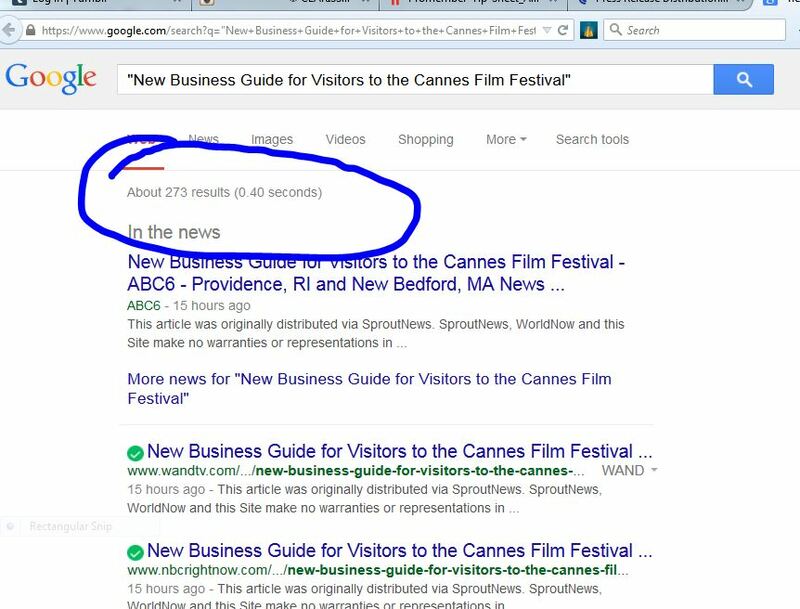 If this could help your product announcement or SEO, call 00/322/644 02 30 (Belgium) to talk about the possibilities.